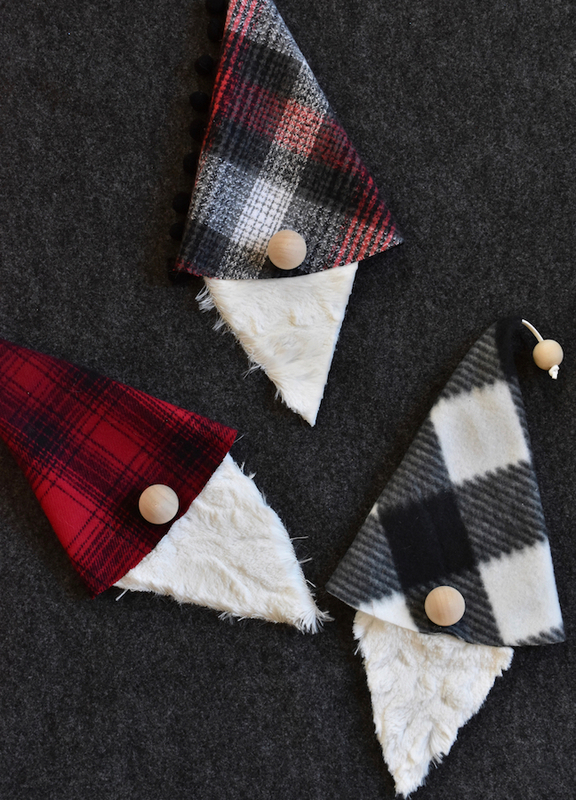 The holiday season fills my calendar with parties and gift exchanges, so I love to have festive, handmade gifts at-the-ready to share with friends and family. 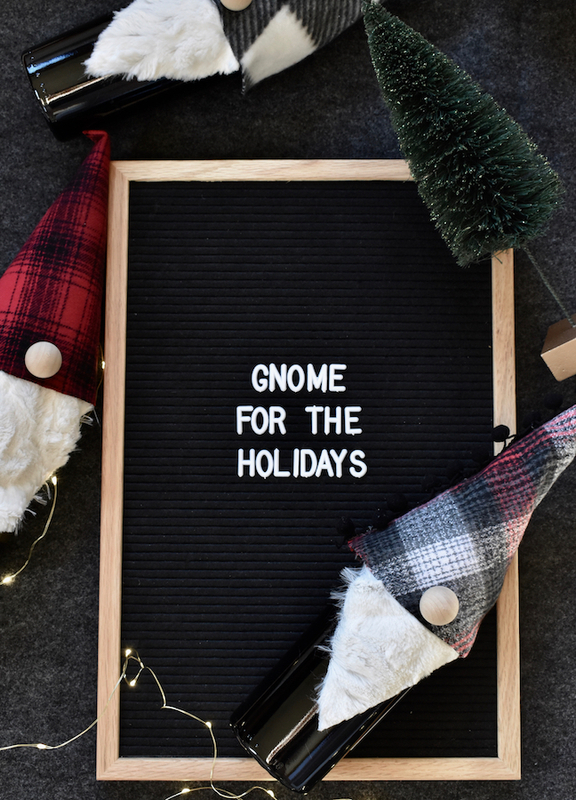 This year, I was inspired by cute (and trendy) gnomes. There is more to the bearded, button-nosed statues that bring good luck to gardens. 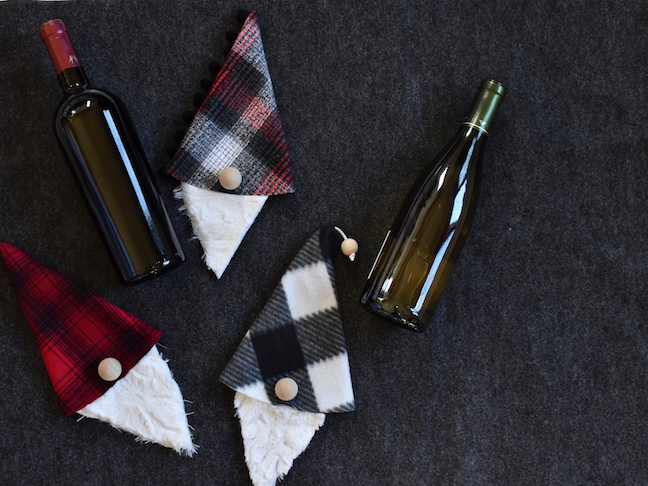 Yes, they also happen to make the most adorable DIY wine bottle toppers. 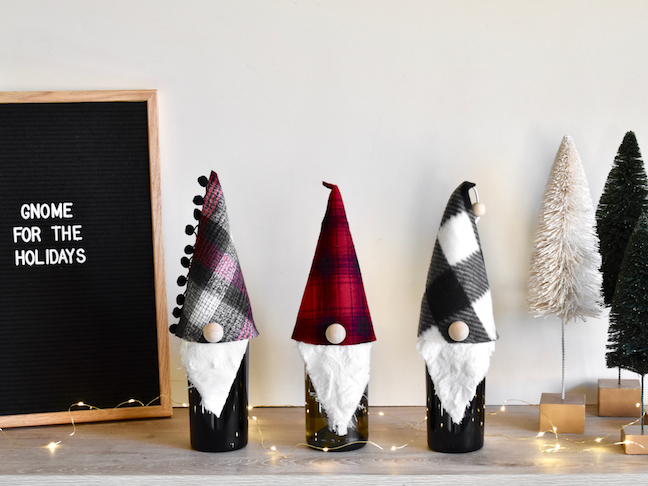 Whether white, red or rosé is your cocktail preference; this DIY gnome topper will look good on them all. It dresses up the bottles to make the gift extra special! 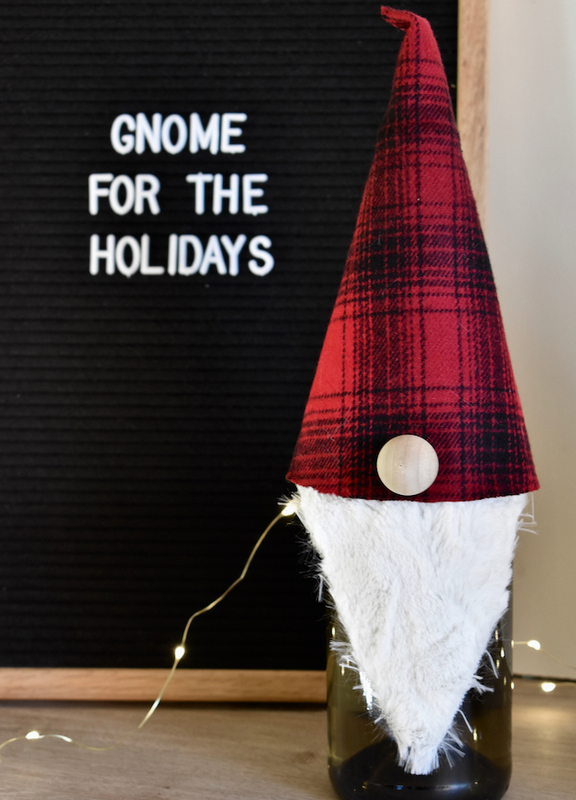 Don’t show up empty-handed this holiday; instead take the extra step and make this easy peasy, no-sew DIY gnome wine topper. 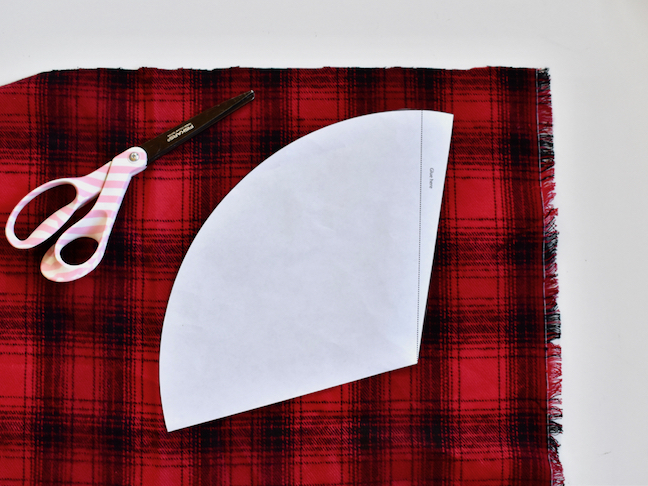 Step 1: Find a cone template online, print a copy, and then cut it out. Place the template on the fabric and trace the template with scissors. 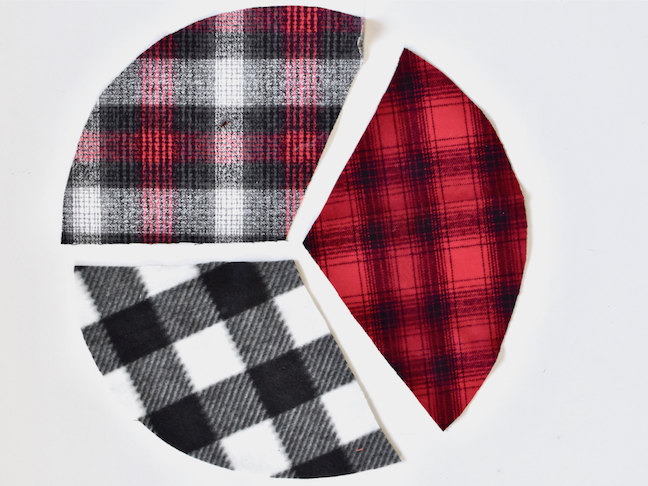 Once the fabric is cut, roll the material into the shape of a cone (see above). 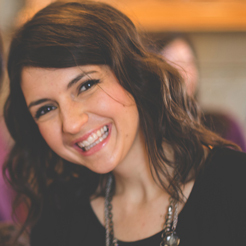 Add glue along the end of fabric so it doesn’t unroll. 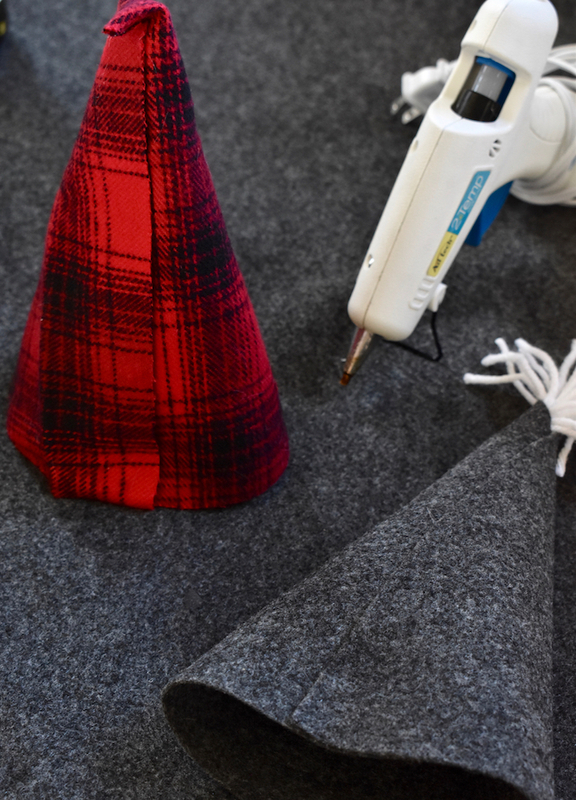 If you’re going to add fringe or a small piece of suede cord and a bead that comes out of the cone-shaped hat, glue it in the center top point of the cone before you roll in into a cone. 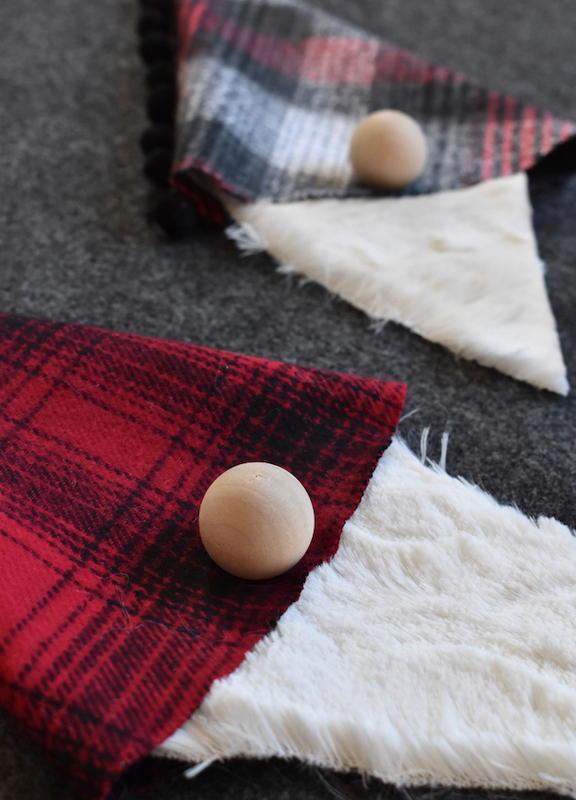 Step 2: Cut the faux fur in the shape of a triangle, about 3 inches along the top that narrows to a point. This is for the beard. I was lucky enough to have a friend that makes beautiful blankets, and she had extra fabric lying around, so she was kind enough to share. If you don’t have a friend with extra faux fur in the craft room, craft stores carry it, as well as Amazon. 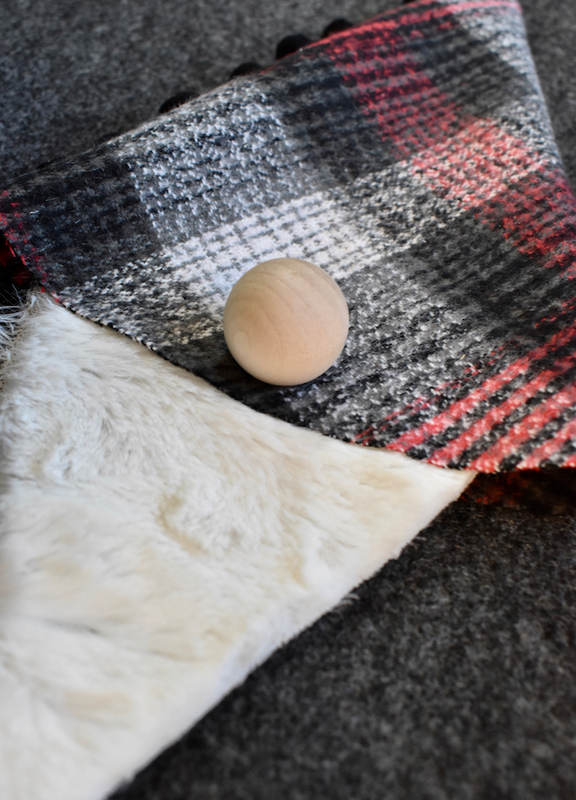 Step 3: Glue the top of the fur to the bottom of the hat, and then glue the wood knob ball in the center of the hat, close to the bottom edge. Step 4: You can get creative and cross-stitch designs onto the hat if you want, or like I mentioned before, add a tassel, bead or pom pom on top of the hat. Make your gnomes look the way you want. 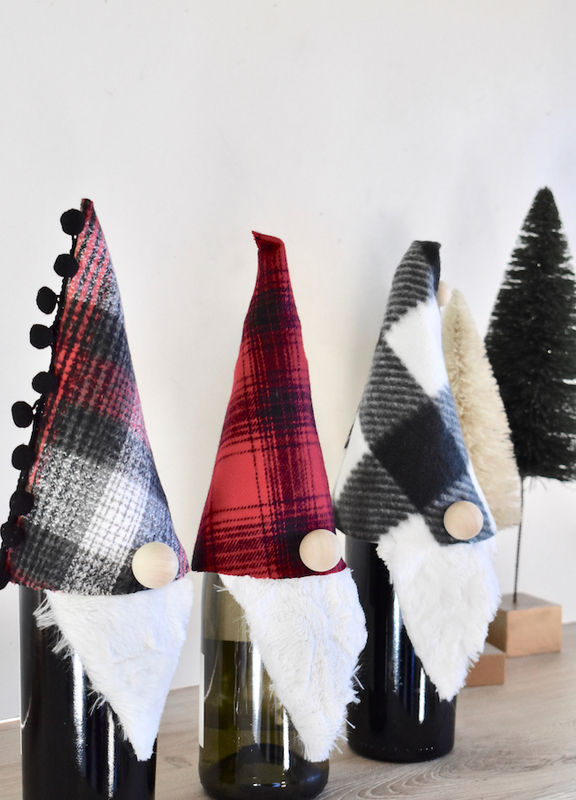 Step 5: Place on top of the wine, give to friends and cheers to the most adorable holiday DIY ever!